Following my father’s death, there were days when it was hard to know whether I was feeling sorry for myself or plodding through the quicksand of grief as best I could. There were days I longed for someone to tell me how to get through the grief. But when someone would suggest it was time I “move along,” I wondered why they didn’t understand that I just needed time to grieve. One of the most difficult aspects of my grief was finding the balance between pushing myself to go on with life’s activities and allowing myself to rest and postpone activities or decisions when needed. 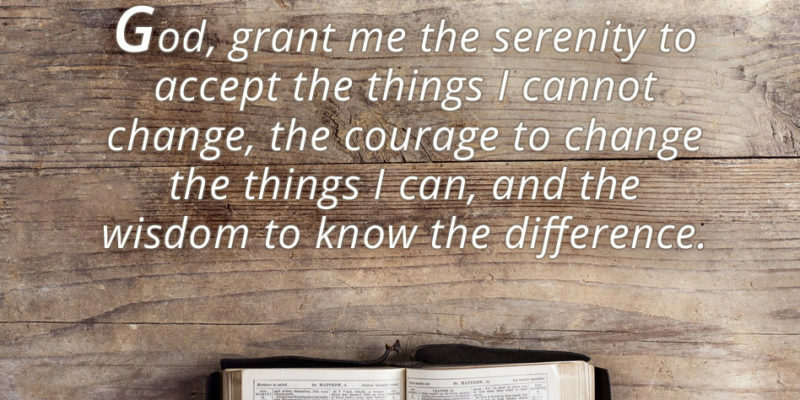 What I needed was a sort of Serenity Prayer for grievers. It is offered with the hope that it can bring strength as you seek support from others and from God, while also paying attention to your own responsibility to be a part of your healing. It is really three prayers in one. Each one is a step in the process of healing from grief. God, grant me the strength to keep moving when I can. In so many aspects of your life following the death of a loved one, you will face the questions about moving through the journey of grief. When is it time to go back to work? When is it time to give away many of her belongings? When is it time to start socializing? When will I stop sleeping so much? When will I stop crying? You may wonder when you will feel the energy to cook again, or exercise again, or make new friends. In reality, there are times when we should not push ourselves too hard, and then times when we need to push ourselves to take the steps that will lead to our healing. Your prayer to God for strength to keep moving signals your hope that you will find your way through your days of pain. God, grant me the grace to rest when I need to. The other risk during a time of grief is that we can so deeply want to move beyond the pain that we throw ourselves into constant activity, saying yes to any invitation to go out, turning down any offers for help, working long hours, or pouring our energy into some harmful addiction—all in an attempt to either hide the pain or keep friends from worrying. In the midst of frantic business, grievers can lose the insight to know when their bodies and spirits are tired and need to rest. In this prayer, your invitation for God to offer you grace is a reminder to yourself that you can take time and set your own pace for your grief. Grace for you is time to make decisions, time to cry and to remember, and time to rest and allow your body and spirit to heal. Rest takes different forms for different people—from a walk in the park to an afternoon nap to a visit to the beach. Explore and learn what helps you feel rested. Grace is the gift of a restful reprieve where you can lower your expectations of yourself and simply wait. Wait for the darkest hour of the night to pass. Wait for a ray of light to break through—a new day for hope, healing, and being able to once again get moving. God, grant me the wisdom to know the difference. When delicate questions begin to arise about whether you might be pushing yourself too hard to move through your grief, or not pushing yourself hard enough, the wisdom to know the difference is an important aspect of your healing. I believe finding the wisdom to balance our choices comes from listening—to our self, to trusted others, and to God. Grief is a journey with many winding turns and detours. But it’s a journey of grace if we trust our inner wisdom, the wisdom of others, and the courage that our faith can instill in us. I want to thank Abbey Caskets for the beautiful work that made my husband’s casket just perfect for him. He was a deacon in the Catholic Church and had actually picked it out before his death. Thank you for the information about price comparison now being required from funeral companies. Can you recommend a consumers’ group to help someone understand a funeral plan they bought and how to get what they bought? 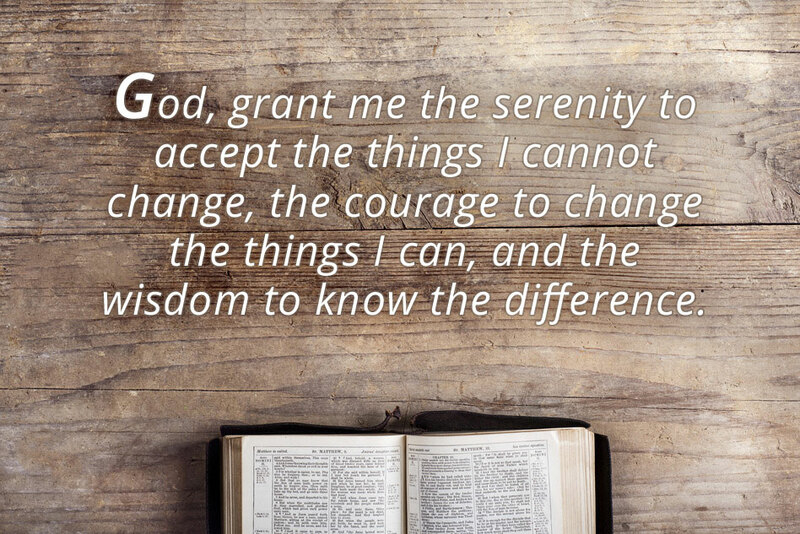 Thanks for sharing the Griever’s Serenity Prayer. Could you please send me a copy to share with a friend who just lost her father? I will give you credit. The Federal Trade Commission, FTC, website would be a good place to start. They should have contact information for any questions you may have regarding funeral planning. You can also talk to your funeral director and ask them to explain exactly what your funeral plan covers. There is also a funeral consumer alliance that you can contact. Their websites is https://funerals.org/. You would be able to search for a local alliance close to you. Good luck in your search!